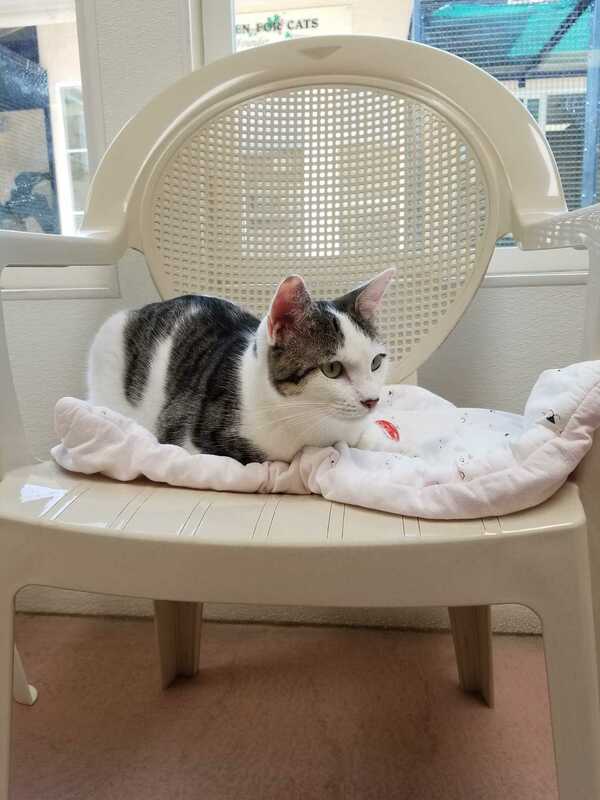 Maela is a sweet 10 month old, short haired tabby and white kitten who loves to play but can get pretty feisty around other cats. She is really cuddly and sweet once her kitten energy of wanting to play is out of her system. Maela came in with her sister Giselle and brother Slater. Both brother and sister were adopted leaving her here to find her forever home.